Everywhere I go people are talking about their tomato plants. Some are saying this year’s crop is going to be the best they’ve ever had. 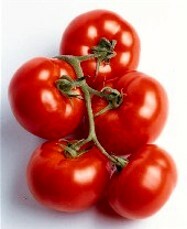 Others are saying that they’re losing their tomatoes at an alarming rate to disease. That got me thinking. After a couple of months of nursing the tomatoes from seedlings to garden crops and dreaming of that first sweet, juicy and fleshy bite, it is heartbreaking to watch the fruits rot on the vine. I’ve been there and I’ve done that and it hurts! Weather conditions can be one of the tomato plant’s worse enemies or best friends. Damp, humid weather can have a devastating effect on tomato plants, while hot, dry conditions can bring on a yield that will have you slaving over pots of homemade spaghetti sauce while begging your neighbors to take the excess harvest. One thing that gardeners should consider when buying seeds or plants is that is best to use disease resistant varieties. These can vary depending on the geographical area you live in, so contact your local extension agency for the hardiest varieties for your garden. There are several common diseases that affect tomato plants. Early blight causes dark spots with concentric rings to develop on the older leaves of the plant. The spots then spread to younger leaves, causing the surrounding leaf to turn yellow. If too many of the leaves die prematurely, the tomatoes that are exposed to the sun are scalded. Wet weather provides an ideal climate in which the early blight fungus can grow. The disease easily transmitted and can be brought into your garden on transplants. The fungus, which is soil-borne, can withstand colder temperatures and will be there to rear its ugly head when spring arrives. Copper and/or sulfur sprays can minimize the spreading effect of the fungus. Late blight, which is the disease that caused the Irish potato famine, affects both the leaves and fruit of tomato plants. The disease can rapidly spread in wet weather and shows up as irregular gray spots on the leaves. In many cases, white mold develops around the spots, which eventually turn dry and papery. The infected fruit develop large, irregularly shaped spots. Copper sprays offer some relief from late blight, which can over winter in areas that do not get frost. It is best to remove all plant debris from the garden. Septoria leaf spot looks a lot like late blight. However, the papery patches that are found on the leaves develop tiny, dark specks inside them. Copper sprays can be used to help control the problem. Verticillium wilt, which is caused by a soil-borne fungus, makes the tomato plant leaves to turn yellow and dry up. The plants will often wilt in the heat of the sun and recover at night. This disease is a big killer of tomato plants. Hopefully, these diseases will not plague your garden. May you have a good growing season – one that provides you with plenty of tomato sandwiches, sauce and fresh fruit for your salads.